Christian Eriksen, Lasse Schone and William Kvist were named in the team, which will play in Group C against France, Peru and Australia. Nicklas Bendtner is out from the Denmark World Cup squad, due to injury. 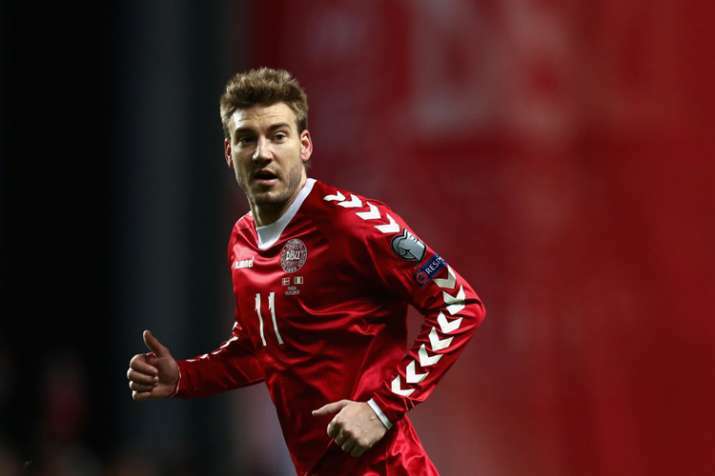 Nicklas Bendtner has been left off Denmark's World Cup squad. Denmark coach Age Hareide says both Bendtner, who has a lingering a groin injury, and defender Andreas Bjelland, who also is injured, won't be ready for the team's opening match against Peru on June 16. Christian Eriksen, Lasse Schone and William Kvist were named in the team, which will play in Group C against France, Peru and Australia. Denmark's squad includes forwards Andreas Cornelius, Kasper Dolberg and Pione Sisto. Denmark will play a friendly against Mexico on Saturday.